While I enjoy perusing the occasional ‘most anticipated albums’ list, I don’t partake in them myself unless specifically asked. However, when the calendar flipped and another dying year gave birth anew if I had made one of those lists you can bet the farm that the new one from North Carolina’s Mount Moriah would have been there, probably somewhere very near the top. Since the day I accidentally stumbled across their mesmerizing, self-titled debut album I have been completely hooked. Their music is in pretty semi-constant rotation in my house, my car, at my desk. So consider this all full-disclosure, but do not doubt it the least, when I tell you that Mount Moriah’s new album, How To Dance, is one of the best things you will hear this year, bar none. Somewhere on a dusty back road, top down, sun shining, this album is blasting from car stereo speakers and it’s perfectly placed among the green grass, the lush forest whizzing by, the hair billowing, and the smiles flashing. Somewhere on a dance floor in a lonely bar, lights dimmed, two lone bodies clutched tight to one another in the name of love and comfort, this album finds a home. Somewhere a good deed is done, something so simple yet something so profound and life-changing, and this album will be playing in the background. How To Dance is all of these albums and more. Mount Moriah has seen to it yet again that your most remembered moments – the most painful, the most cherished, the most beautiful – could all have a soundtrack if you wanted them to. It’s not uncommon for a Mount Moriah experience to begin with the poignant lyrics and equally poignant delivery of Heather McEntire. Her locution is detailed, filled with loves won and lost, geographic and other specifics, and intimate moments frozen in time that prove as equally cathartic for the listener as it probably does for the writer. The voice that delivers them is honest and pure and sails on the winds of her band mates with aplomb. Her Mount Moriah partner in crime since day one is guitarist and multi-instrumentalist, Jenks Miller. Miller’s guitar work is astute and intoxicating yet far from overpowering. He and longtime bassist, Casey Toll, are more concerned with setting the tone, taking each track for a soothing walk, than they are unwarranted musical histrionics. Together they all form a well-oiled Americana machine churning out wholly original and timeless albums, of which How To Dance will surely be looked back at fondly as one of their greatest achievements. Mount Moriah exist somewhere in a world where gilded, 70s alt-country, shoegaze-laced indie rock, and the weary souls of a thousand singer-songwriters from the folk/blues/country pantheon come together to swap stories and riffs over a bottle or two of the hard stuff. There’s an overwhelming feeling on How To Dance that they are exploring and delivering some of their innermost secrets. Tracks like “Little Bear,” “Baby Blue,” and the stellar title track feel like empirical testimonies to our collective humanity. While tracks like album opener “Calavander” are captivating stories spun in varying shades of alt-folk backdrops. To accompany the journey, Mount Moriah has also spread their wings in a more easily tangible sense. They’ve never been a band afraid of the occasional string backing, employing them as far back as their debut album, and again on this album as well. On this record though trombone and baritone sax make appearances on select tracks, including the aforementioned “Calavander” and “Cardinal Cross.” Add in organ, pedal steel, and a lovely array of backing voices, and the accouterments here are both varied and well-placed throughout. It’s as if they decided to take out the detail round brushes and add the occasional embellishment to their sonic portrait, and it pays exceptional dividends. From start to finish Mount Moriah have delivered a highly emotive and completely enjoyable experience. It’s an album that even after multiple listens can still become so engrossing that the ice cream will be left melting on the kitchen counter and the tea kettle will be screaming for help while one lyric or one subtle movement sends you utterly reeling. Simply put, and with all hyperbole set aside, it’s just that good. 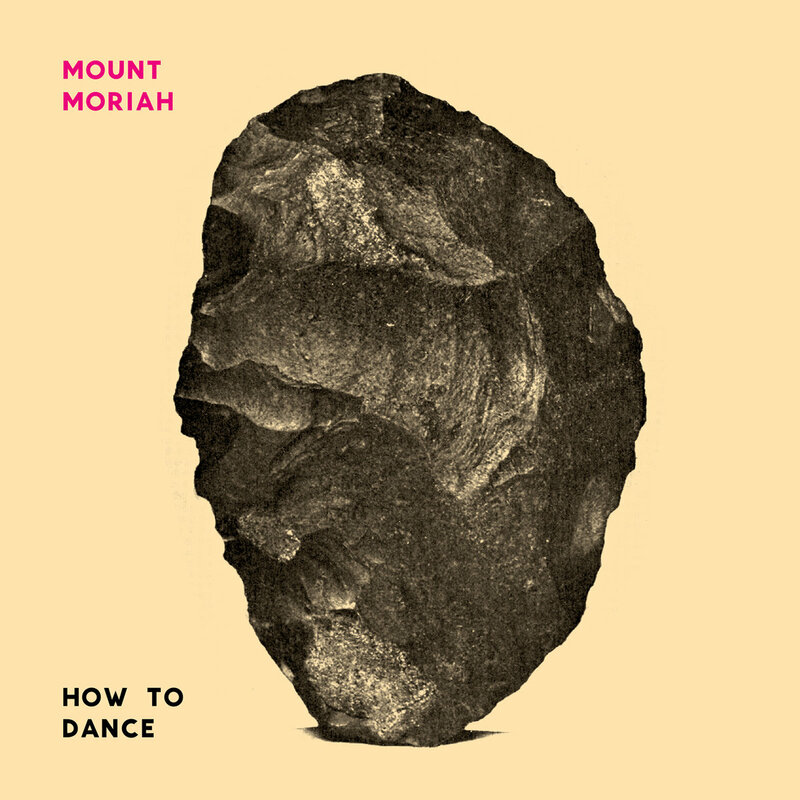 How To Dance is out now and can be experienced and purchased at the Mount Moriah Bandcamp page.